One of the biggest slots prize draws in Gala Casino’s history will be taking place throughout February. Every week for four weeks, the site will be holding two massive prize draws. 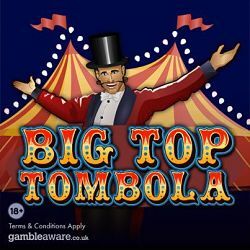 By the end of the £1M Slots Prize Draw promotion, there will have been 60,000 guaranteed winners, a total of £1 million given away in cash and thousands of free spins. 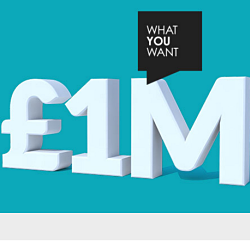 Keep on reading to find out how you can win your share of £1 million. The total £1 million prize pool will be split into two weekly prize draw funds, every week for four weeks. 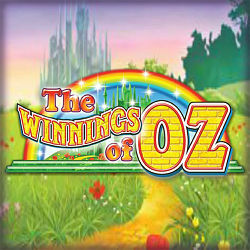 Prize draw entries are earned by staking real money in each week’s eligible slot game. We’ll tell you about the weekly prizes and slot games a little further on. The biggest prize draw to take place throughout the entire promotion will be the very last one. The second and final draw during Week Eight of the offer will be held on February 27th and will dish out an incredible £200,000 in cash. Two prize draws will be held each of the four weeks that this slots promotion is active. To earn entries for these draws, you will need to spend a minimum of £10 on that week’s selected slot game. There’s no need to opt in or sign up for the £1M Slots Prize Draw. As soon as you’ve staked £10, you’ll be automatically entered into the offer. After this, every further £10 you stake will earn you another entry into the weekly draw. The £1M Slots Prize Draw promotion is open to all Gala Casino customers, new and pre-existing. The £10 stake required to enter to prize draw is cumulative. This means that it can be wagered in one bet or made up of multiple smaller stakes. Winners will be selected in a random prize draw held by PromoVeritas LTD. The prize draws will be held one working day after each draw period finishes. The prizes will then be paid into all winners’ accounts within two working days.